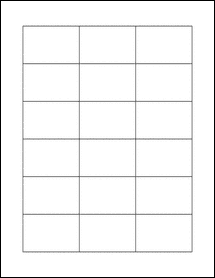 2.25" x 1.5" Rectangle - OL1347 - 2.25" x 1.5"
Label Size: 2.25" x 1.5"
Blank Label Templates for OL1347 Start your design from scratch. Download free blank label templates for Microsoft Word, PDF, or OpenOffice. "All I can say is amazing! Order my labels and the next day they are at my house! Love that there are so many options too!! Plus the price is great too and I am in Canada!"